Reptiles and Amphibians of Australia is a complete guide to Australia’s rich and varied herpetofauna, including frogs, crocodiles, turtles, tortoises, lizards and snakes. For each of the 1,218 species there is a description of its appearance, distribution and habits. Each species is accompanied by a distribution map and, in many cases, one of the book's more than 1000 color photographs of living animals. The book also includes 130 simple-to-use dichotomous keys--accompanied by hundreds of explanatory drawings--which in most cases allow a specimen in hand to be identified. In addition, it has a comprehensive list of scientific references for those wishing to conduct more in-depth research, an extensive glossary, and basic guides to the collection, preservation and captive care of specimens. 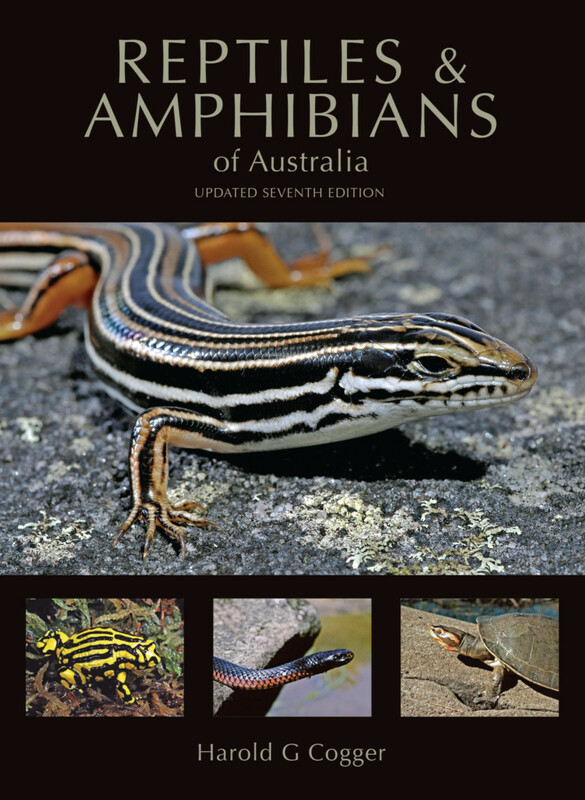 RECOMMENDATION: A must have for those with a serious interest in the herpetofauna of Australia. Harold G. Cogger was Curator of Reptiles at the Australian Museum, Sydney until 1976, when he became Deputy Director with primary responsibility for scientific research programs and collections. On his retirement in 1995 the Museum appointed him John Evans Memorial Fellow, a position he still holds. He was Conjoint Professor in the Faculty of Science and Mathematics at the University of Newcastle, 1997–2001. He has published widely on reptiles and amphibians, including the six previous editions of this book. Most of his field research has been undertaken in Australia, New Guinea and the Pacific.